Osinbajo to receive 2017 budget from N’Assembly today – Royal Times of Nigeria. 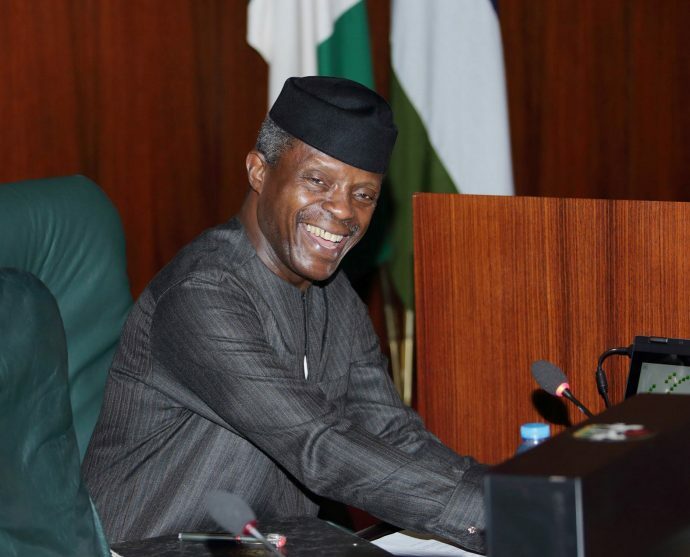 Acting President Yemi Osinbajo may receive the 2017 budget from the National Assembly today, Punch reports. According to the newspaper, the Legal Department of the National Assembly has concluded its work on the budget and now set to send it to the Presidency on Wednesday morning. The Senior Special Assistant to the President on National Assembly Matters (House of Representatives), Abdulrahman Kawu, confirmed that the office was expecting the budget today. He said; “It is Wednesday (today); at least, that was what I was told. So, we wait and see,”. Chairman, Senate Committee on Media and Public Affairs, Aliyu Sabi-Abdullahi, on Tuesday, said the budget was still undergoing legislative processes. Sabi-Abdullahi stated; “If you are familiar with our procedures, you will see that the budget always carries some signatures. “So, the two chairmen (of Committee on Appropriations) of the two chambers have to do that. And when they do that, it will be transmitted to the Clerk to the National Assembly, who will make sure that he also puts in his administrative process to form the document to the Presidency.